Nicky Wire writing about library closures in the Guardian. One of the most amazing things about public libraries remains their utter classlessness. You don’t have to have gone to Eton to make the most out of a library. They aren’t inhabited by the kind of people currently damning them. The closure of libraries in conjunction with tuition fees, the sell-off of our forests and radical reorganisation of the NHS are symbolic of the blatant power grab of this fiasco of a government. There is a way of solving these problems – it’s called higher taxation of the wealthiest 10% of the country. In the 90s, I’d have gladly included myself in that bracket. We need to cherish these things while they still exist. Seek solace, seek knowledge. Seek power. 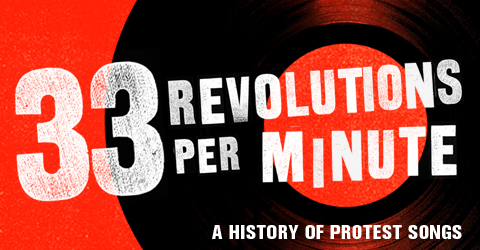 DORIAN LYNSKEY is the author of 33 Revolutions Per Minute: A History of Protest Songs, published by Faber and Faber (March 2011) and Ecco (April 2011). He writes for the Guardian, The Word, Q, Spin and Empire.